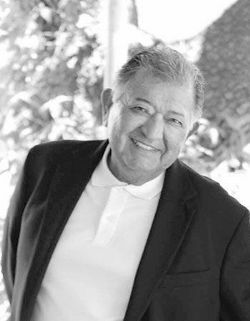 Rene Piñon Mata, 71, of Lake Jackson, passed away Sunday, January 20, 2019, surrounded by his beloved family at Memorial Hermann in Houston, TX. He was born February 5, 1947, in Mission, Texas. He was a great man who always put his family first. He never failed to make anybody smile and was a great story teller. He was a war veteran who served in Vietnam. He loved being outdoors and enjoyed spending his spare time with his grandchildren and great-grandchildren. He is survived by his loving wife of 51 years, Zita Mata; sons, Christopher Rene (Michelle) and Benjamin Phillip (Rebecca) Mata; daughter, Laura (Juan) Rodriguez; grandchildren, Ashley Marie, Jordan Joel, Courtney Marie, Jarred Christopher, Joseph Mateo, Jaklyn Grace, Tristyn Monroe, Dallas Camille, and Adam Stephen Mata, John Anthony, Michael Alexander, and Ashley Isabelle Rodriguez, Justin Angel and Jakob Anthony Rios; great grandchildren, Jazlyn Marie and Jaylee Marie Llano, Ulises Joel and Abrielle Olivia Mata, Kaidence Marie Wallace, Nathaniel Dash and Noah Dash Del Hierro, and Kai’Leona Simone Stroman; three brothers; five sisters; and numerous nieces, nephews, loving relatives and friends. He was preceded in death by his parents, Manuel and Guadalupe Mata; sons, Adam and Stephen Joseph Mata; and brother, Carlos Mata. Funeral services will be held at 12 p.m., Friday, January 25, 2019, at New Beginning UPC Church at 438 Hardy St, Clute, TX with Pastor Gilberto Guel Jr. officiating. Burial will follow at Restwood Memorial Park. Visitation will be from 11 a.m. to 12 p.m., Friday, January 25, 2019 at New Beginning UPC Church at 438 Hardy St, Clute, TX. Pallbearers will be Jordan, Jarred and Joseph Mata, John Anthony and Michael Rodriguez, and Justin and Jakob Rios. Honorary pallbearers will be Ulises Mata and Nathaniel Del Hierro.